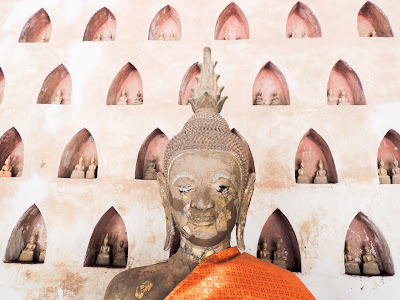 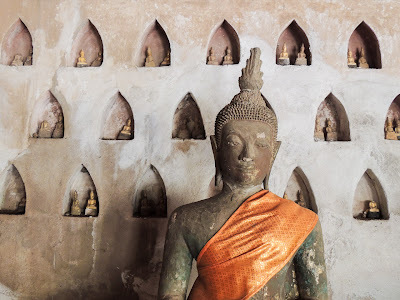 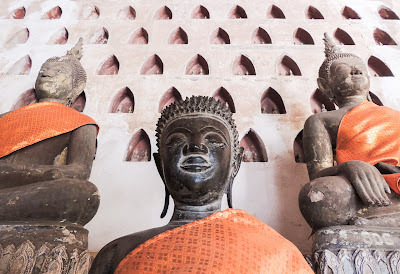 This Wat is famous for its interior cloister walls, lined with Buddha made of wood, stone and bronze, from between the 16th to the 19th century. 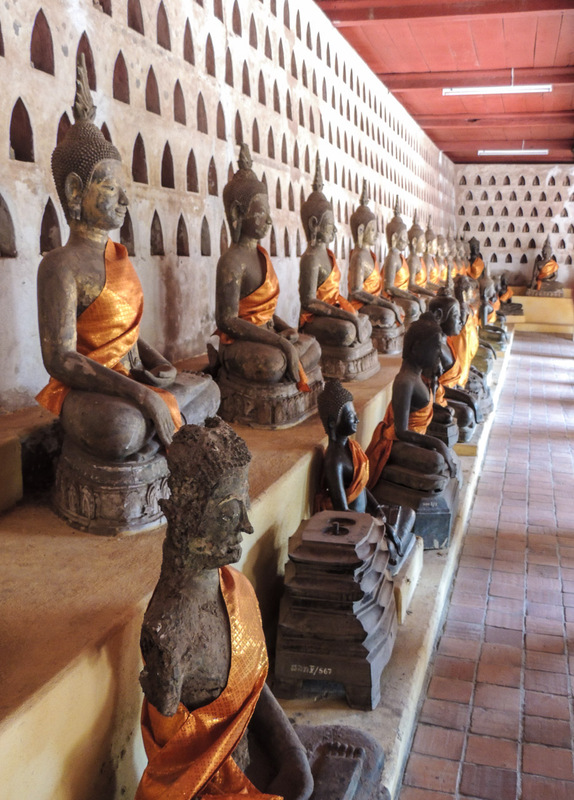 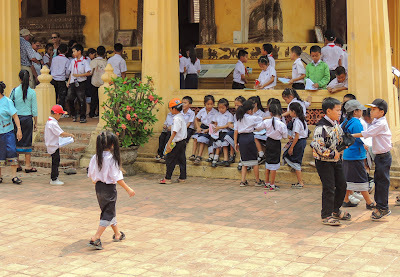 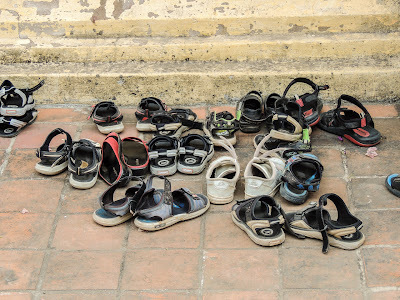 They comes in all sizes and there is probably 6,000-10,000 Buddha, counting all the ones in the cubby holes. 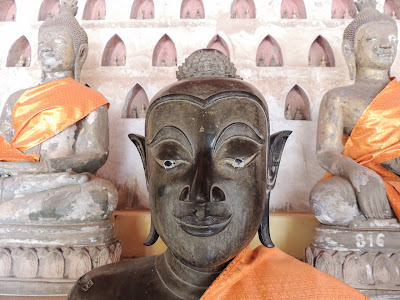 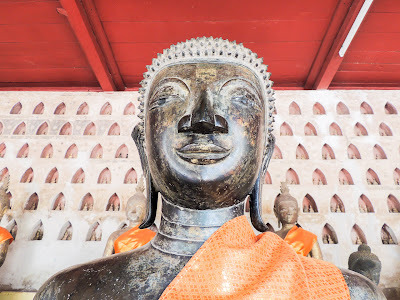 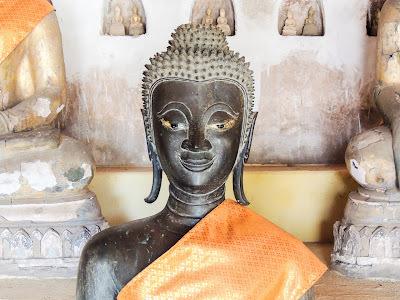 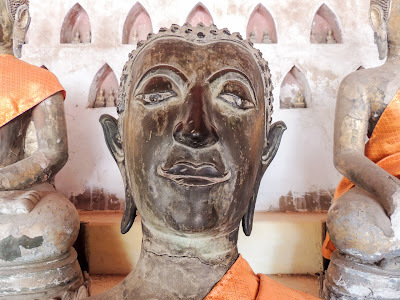 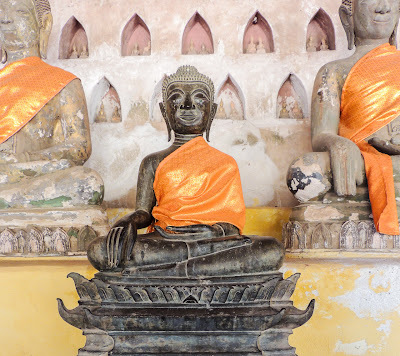 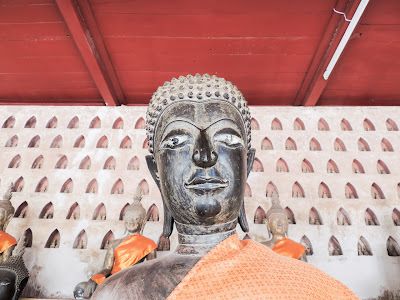 I loved looking the at Buddha and am posting some of the faces. 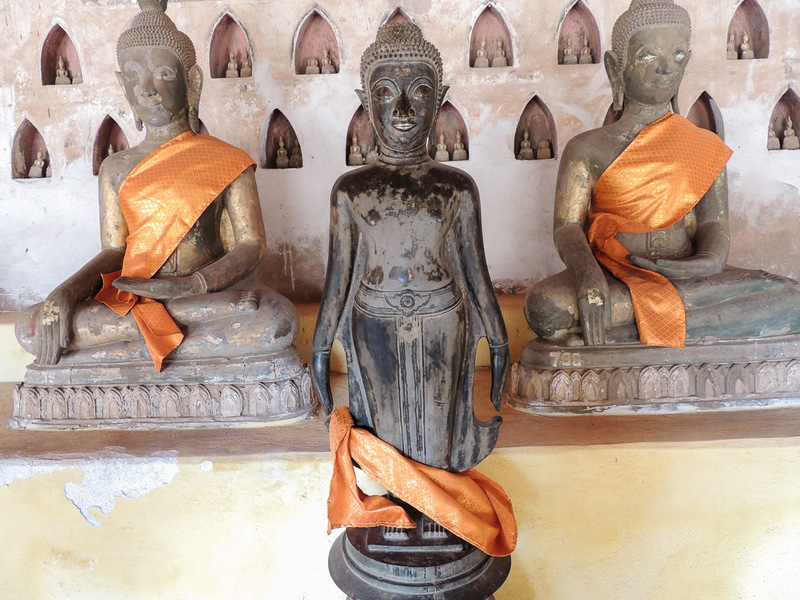 The Buddha is carefully proportioned; the result is a gracious and harmonious form. 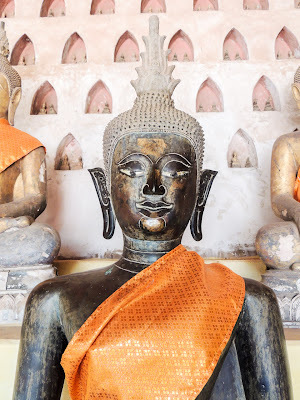 The slightly almond eyes hint at Buddha's descent from people of northern Indian. Buddha's nose has a specified length: the tip reaches a line drawn across the face at the bottom of the non-elongated part of the ear. The flame-topped elevation on the head may be missing if it existed, due to vandalism in the past. Buddha, called Siddartha Gautama, was a wealthy prince born in what is today northern Indian in about 563 BCE. He was surrounded by luxury: servants palaces, silken robes and jewelry made of gold, silver and precious stones. When he was 29, Siddartha abandoned his privileged life to become a monk. Although he was no longer weighed down by material possessions and the heavy, jeweled earrings that had stretched his earlobes, Siddartha's ears were permanently elongated. 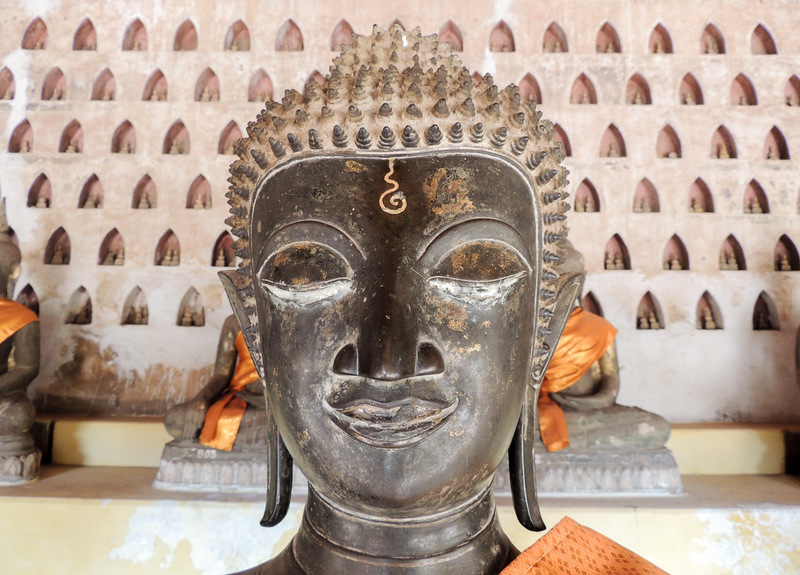 To Buddhists today, the long earlobes symbolize a conscious rejection of the material world in favor of spiritual enlightenment. 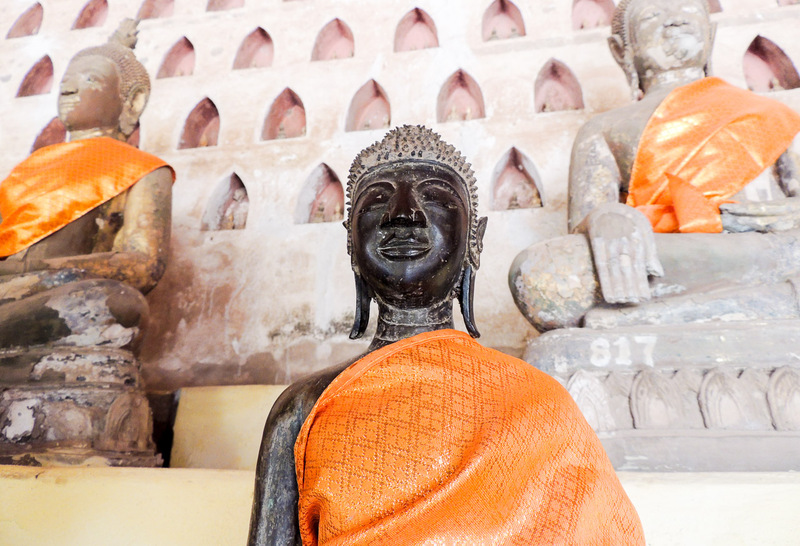 Siddartha Gautama went on to become the Buddha, or "enlightened one." If you draw a line from the outer part of the eyelid through the center of the mouth, the point where the line bisects the jawline is the usual length of the ear lobe.